Sumatra also is well known as home of largest volcano, the supervolcano Toba within the 100 km × 30 km Lake Toba, which was created after a caldera collaps.The eruption of ancient Toba is the largest possible for a volcanic eruption.While at east corner of this island is The Sunda Strait separating the islands of Sumatra and Java with it's popular volcanic island of Krakatau lying between them.While at north corner is volcano Peuet Sague in Aceh. Located in Sunda streat between Java and Sumatra, Lampung province.This is a complex of volcano with an active cone centre in a caldera. Krakatau is accessable from Labuhan, but when rainy season the complex of this volcano is hard to be reached due to havy wave.Krakatau has largest eruption in history after Tambora. Erupted in 1883, destroying two-thirds of the island and leaving a large caldera under the sea. This cataclysmic explosion was heard as far away as the island of Rodrigues near Mauritius (about 3000 miles or 4800 km away).A new parasitic cone(Locally called Anak Krakatau)rose from the sea at the center of the caldera in 1930.
regency Lahat.The volcano shape is Starto type with elevation 3173 m from above sea level.Peak of the volcano is accessable 6 hours hiking from Tea Plantation Dempo on eastern slope of the volcano.Good area for camp is on elevation 3000 m alt located between Volcano Dempo and Mearpi. The crater of this volcano often be visited by local people, so...the path leading to peak is clearly visible. wiht elevation 1952 m above sea level.This volcano is accessable from from Palembang via Lahat and Lubuklinggau, then from curup toward village Bukit Kaba, and overnight can be at Sumber Urip. Located in regency Kerinci, Province Jambi. Other name of this volcano: Berapi, peak of Indrapura and G Gadang.The volcano shape is starto type with elevation 3800 m above sea level. Kerinci is the highest active volcano in Indonesia. The paek of the volcano is normally accessable from vollage of Kayuaro for 2 days of hike. Peak should be reached before 10 cloc in the morning for better view and weahter on peak zone. LOcated in district Kota Anau,Regency Solok, North Sumatra.Other name of this volcano: Salasi and Sulasih. The volcano shape is starto type with elevation 2597 m above sea level. There is no crater on it's peak, points center of eruption and fumarola is a valley 300 m in lenght. There are lakes which are previeousley could be craters: Lake talang 1950 x 1050 m in weith and 88 in depth, and Lake Kecil 400 X 100 m in weith on elevation 1707.The peak is accessable by hiking from southern slope via Batu Barjanjang for 5 hours. Located in Pleatue Padang North Sumatra. Other name of this volcano: Tandikai and Tandike. The volcano shape is starto type with elevation 2438 m above sea level.On peak zone there are A, B and K cratersas well as new cone rose from the crater A. The peak of this volcano is accessable by hiking from eastern slope at village Ganting via Lalo for 5 hours. Located in regencies Agam and Batusangkar, North Sumatra. The volcano shape is starto type with elevation 2891 m above sea level.Name of it's craters: Kaldera Banca (A), Kapundan Tuo (B), Kabun Bungo (C) Kapundan Bongsu (D), Crater Verbeek or Kapundan Tega (D 4). Peak is accessable by hiking for 6 hour from Kota Baru located on side way between Bukit Tinggi and Padang Panjang. 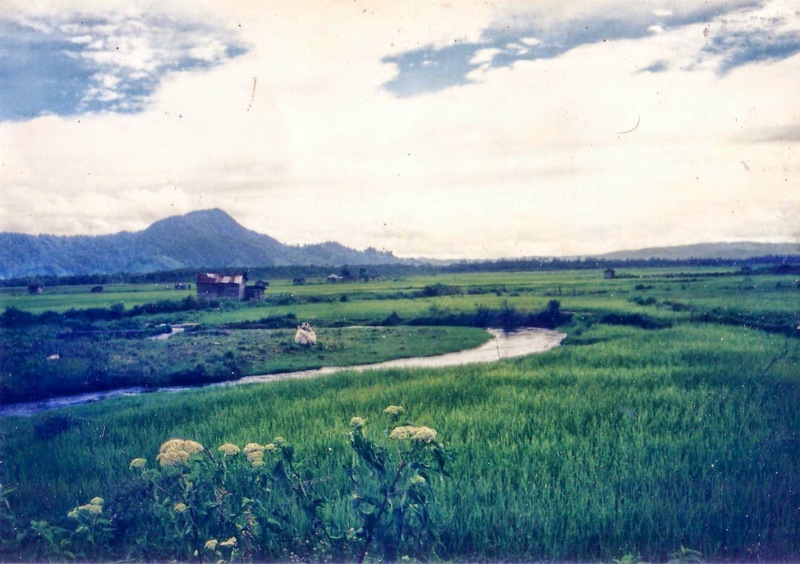 located in district Kotanopan and district Napal, regency South Tapanuli, Nort Sumatra.Name of solfatar field: Sibangor and Julu. The volcano shape is starto with lake crater type, elevation 2145 m above sea level.There areabout three fumarola fields on slope of this volcano, located 2,5 and 4,5 km from peak. On the peak zone, there two craters lakes: crater lake besa which is the center of activity of the volcano. On the crater there are two group of fumarola locatedd on east and north ern rim of the crater base.Peak of this volcano is accessable 5 hours hiking from vilage Sibangor Julu ( on map written Kampung Singojambu). Located in districts Bukit (Simpang Tiga) and district Timang Gajah, regency Takengo Middle Aceh, Nouthern Sumatra. Other name of this volcano: Gunung Telong, Gunung Tutong, and Bur Mutelong. Name of it's craters: A,B.C,D,E. The volcano shape is starto type with elevation 2624 m above sea level.Peak of the volcano is accessable by hiking about 6 hpursfrom Pondok Sentral on elevation 1400 m alt via Bak Sepuluh on elevation 1700 m alt. Located in Aceh. This volcano is a complex volcano type with elevation 2,801 m alt. Last eruption recorded 25 December 2000. Peak of this volcano is accessable from village Lutung.This village can be reached by car from Banda Aceh-Sigli-Tangse-Geumpang about 213 km. The hike can be began throuhg path 6 km from village Lutung to Geumeu (Plantation), then from Geumeu to Peuet Sague.